Nice right?Talk to you later! Ok, so I read this book in Spanish and the name was La sustancia del mal, which sort of translates to The substance of evil (or something along those lines…) and I have to say, I didn't get it (the Spanish title…), it was mentioned once, and still I didn't get it. 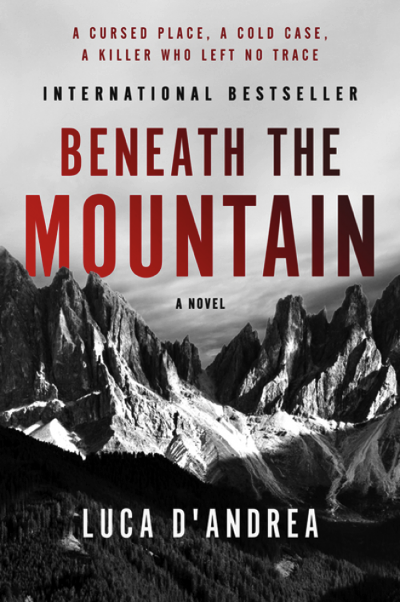 At least the English title "Beneath the Mountain" is more identifiable in the story than the Spanish one but well, in the end it doesn’t matter very much.Starting off with this, I have to say that even though it was a very thrilling story in the end I didn’t like it very much… But, don’t get me wrong, I’m not saying it was a bad book! It was one of those stories that capture the reader and compels to continue reading until you actually know exactly what’s going on, which I believe is something good in a book! haha but the end (ugh… you’ll find out).